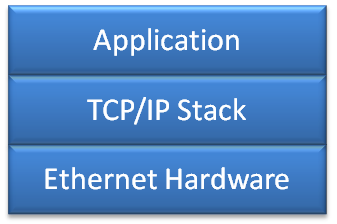 IoT (Internet of Things) is all about connecting to the internet. And even more it is about security. Without security and without encrypted communication, everyone possibly can see what I send or receive. And this is especially bad if passwords or user names are sent in an unencrypted way. So encryption and secure communication is key. The solution to that is to use a connection which uses the TLS (Transport Layer Security) protocol. I want to use TLS for my MQTT communication (see “MQTT with lwip and NXP FRDM-K64F Board“). 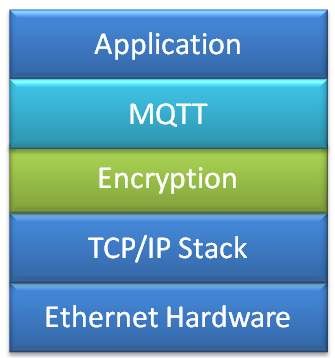 I’m still learning MQTT, and I’m even more learning about the fundamentals of security and security protocols. So this article is about what I have learned recently, and what I can use to make my data communication secure: Network stack architecture, symmetric and asymmetric encryption and certificates. This article walks though the basic principles for a secure communication using the TLS (Transport Layer Security) protocol, with MQTT in mind. 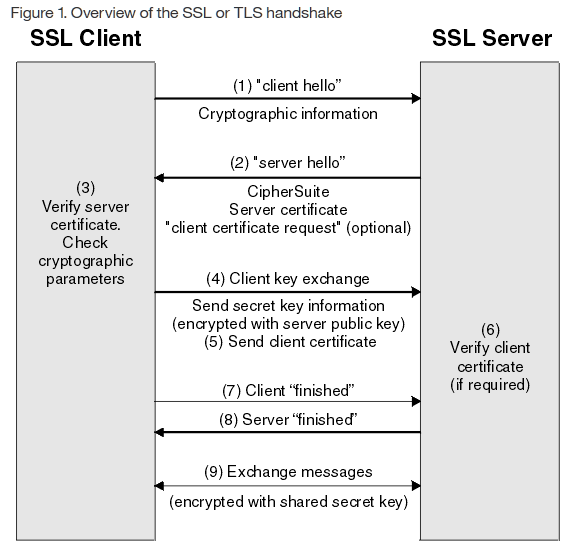 TLS is the successor of SSL (Secure Sockets Layer), and often are used together (TLS/SSL). TLS (as the name indicates) is an encryption on the transport layer: that means that the application layer does not have to implement the encryption itself: instead, it configures the transport layer to use the encryption protocol. TCP/IP uses ‘sockets’ and/or ‘ports’. By default, Mosquitto is using the port 1883 (see “MQTT with lwip and NXP FRDM-K64F Board“) which is not using an encryption protocol. That means that potentially everyone can see the exchange of data between the MQTT broker and clients. 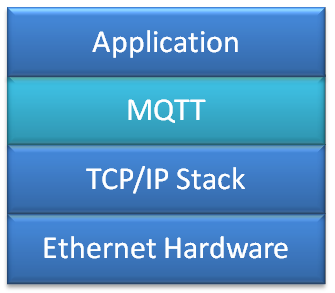 Having an unencrypted connection is a great with MQTT, as this is simple and gives an easy way to start exploring MQTT. 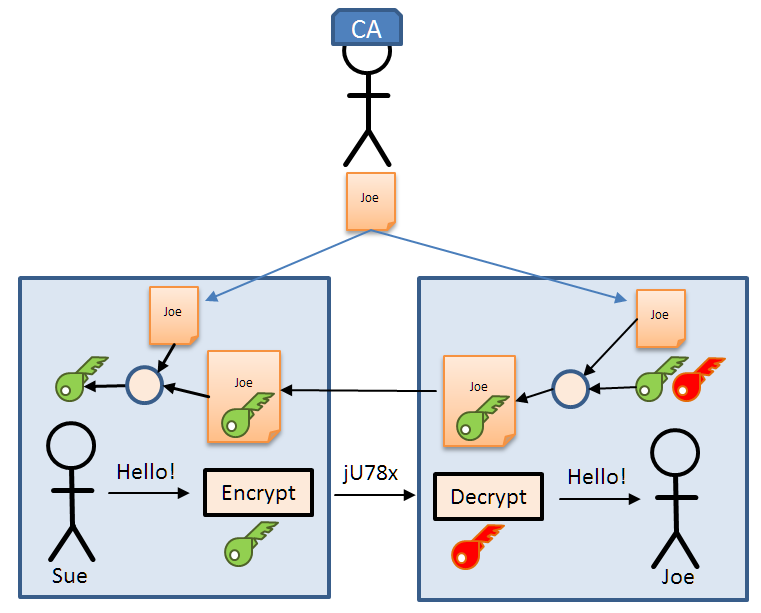 Configuring encryption and using an encrypted connection on the other side is much more complex. But once I have things working in the unencrypted way for testing purposes, I definitely want to use an encrypted communication. That way the application (or MQTT language speaking part) does not need to implement the encryption protocol itself, it simply talks to the encryption layer and that will do all the work. Encryption relies a lot on math, random number generators and cryptographic algorithms. And with encryption there is the need for ‘keys’: a sequence of bits and bytes which are used to ‘lock’ (encrypt) and ‘unlock’ (decrypt) the data. It means that everyone having that (blue) key will be able to decrypt the message. So the security depends how secure I can distribute and keep that key. 💡 The public and private key build a pair of keys. They are different, but are mathematically related. That way only the private key is able to decrypt a message encrypted with the public key. But how can I know that the public key I have received is really from the person I think it is coming from? Maybe I think I have received the public key from the person I think it is, but indeed it is a ‘man in the middle’ intercepting all messages and an I have that middle men public key instead? Here ‘certificates’ come into the play. Certificates are a kind of passport, provided by a ‘Certification Authority’ (CA) which testifies that person is really that person. Sue then can use the trusted certificate to extract the key. If that fails, Sue knows that the certificate with the key is not coming from Joe. There are different ways and protocols how to distribute the keys and certificate. 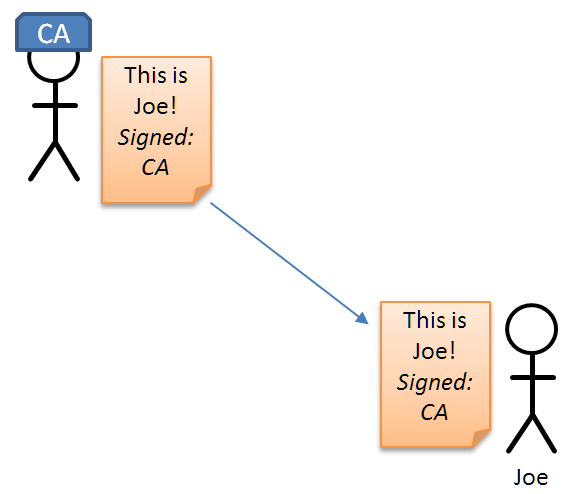 Usually the keys/certificates are pre-distributed (e.g. pre-installed on the devices), or the secret information is built up and exchanged using a multi-stage protocol like TLS. Server responds with a his server certificate which includes the server public key in it. OpenSSL (https://www.openssl.org/): very complete and capable open source implementation with good documentation. More targeting desktop and Linux machines, and less smaller embedded devices. I has a permissive license and is moving to Apache license version. But because of the general overhead I don’t consider it to use with the FRDM-K64F. The mbedTLS has been the most versatile and open library I have found, and this is why I have started using it in my project. More about it in a next article. To use a secure data transport, I have to use encryption. Cryptographic algorithms are provided with several open source libraries, where the mbedTLS library seems to fit my needs best. Key (sic!) to encryption is the distribution and handling of keys and certificates. TLS (or Transport Layer Security) is a protocol which manages key verification and distribution which is provided in the mbedTLS library. In a next article I cover the topic how to enable TLS between a MQTT Mosquitto broker and the MQTT client, which is a lot about creating keys and certificates :-). This entry was posted in Embedded, mbed, MQTT, Tutorial and tagged asymmetrical encryption, broker, cryptography, CycloneSSL, IP, lwIP, mbedTLS, MQTT, OpenSSL, server, SSL, symmetrical encryption, TCP, TLS, wolfSSL by Erich Styger. Bookmark the permalink. Very well written article since it explains SSL without entering the complicated mathematics involved . I’m observing your task of porting Mbed SSL to MQTT since I need that for an IoT project. My project is MQX based and , if it all goes right , i would like to public the MQTT SLL project on Github. I’m pretty sure there are a quite large base of embedded developer that would appreciate that. Again, thanks for your job ! About your MQX project: I’m not a laywer, but the licensing conditions and terms of MQX might not allow you to put it on a Github repository. This and other proprietary things in MQX was one reason for me to stay away from MQX. Things might have changed, but it would be worthwile to check this? I’m not a laywer too … What’s for sure is that MQX ( i’m referring to the MQX 4.x not the new MQX5.0 which is no more free of charge ) can be used without any problems if used in conjuction with any Freescale ( now NXP ) microcontrollers ..
Like any software that you’d find on the NXP site that is using MQX : you can freely download that and if you wanna really use that you need to download and setup MQX apart . yes, I think publishing your application code for MQX should not be a problem. We had a roadblock with MQX because the license conditions allow only to use it with Freescale (or now NXP) parts. We wanted to use it for LPC devices too, and at least the legal advice was that would not be possible. We ended up to stop any MQX work and switched over everyting to FreeRTOS where there are no such limitations, and we can use it for any micrcontroller we want. “If, for example, Mary has filed a public key in some public access file, she can digitally sign a message to you by *decrypting* it with her private key before transmitting it. After receiving the message, you (or anyone else) can read the message by encrypting it with Mary’s public encryption key. The process is essentially the reverse of the cryptosystem: the message is first decrypted and then encrypted, and anyone can reveal the message, but only Mary with her secret decryption key can create it. I’d rather deal with two sets of keys, one for the signature and one for the encryption than the broken Certificate Authority model (Compromised authorities, not checking for revocation etc). You can avoid the certificates if you can trust the one who delivers you the public key. Or if you are not concerned about a man-in-the-middle attack (but usually that should be considered). Yes, MITM is always a concern. If Mary includes the public key used for decrypting the encrypted message in the message that she is signing by her *decrypting* the message with her Signature Private Key, then we know that that key had to come from Mary. If that Public Key differs from the one we have, then a MITM has been reveled. hi there erich, i learn that TLS is not built with mqtt by default, also TLS is not recommended for low constrained devices. Is it possible to use a different cipher in replacement of TLS?? so that mqtt communication in low constrained device client is secured. TLS can be easily added to the mqtt broker. Yes, by default this is not turned on (to simplify first connections), but using mqtt without TLS in my view is not a good thing. And yes, TLS does not come for free on a client, but with security as a concern it should be used anyway, and I’m not aware of any other secure way to communicate with the broker. If your device is not able to use TLS, probably you better need to use a more powerful one, unless your data does nto need encryption at all (but probably it does). The other approach is to use a gateway: use one more powerful device to communicate to the mqtt broker, and your less powerful devices use your own encryption talking to the gateway.